This Kindle Paperwhite rival suffers from poor build quality and other problems. 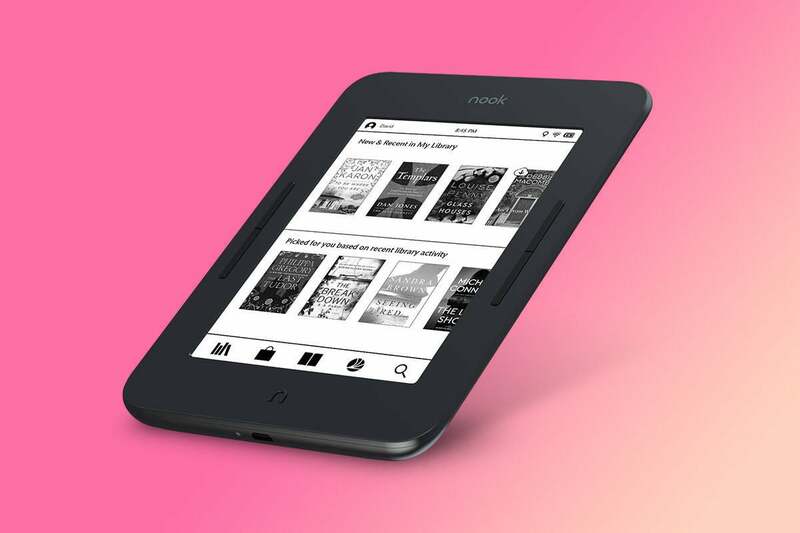 The Barnes & Noble Nook GlowLight 3 wants to go blow-for-blow against Amazon’s Kindle Paperwhite. Unfortunately, while it offers an enjoyable reading experience, its poor build quality and a number of other frustrations make this e-reader difficult to recommend. 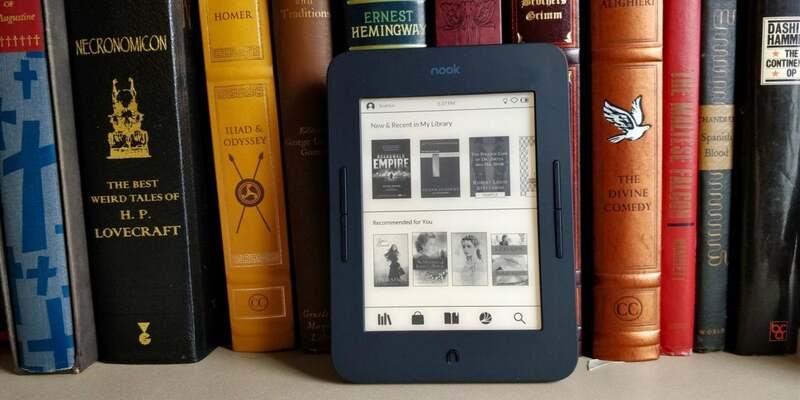 You can find our top picks in our comprehensive e-reader review roundup. The GlowLight 3’s curves make it easy on the hands to hold. 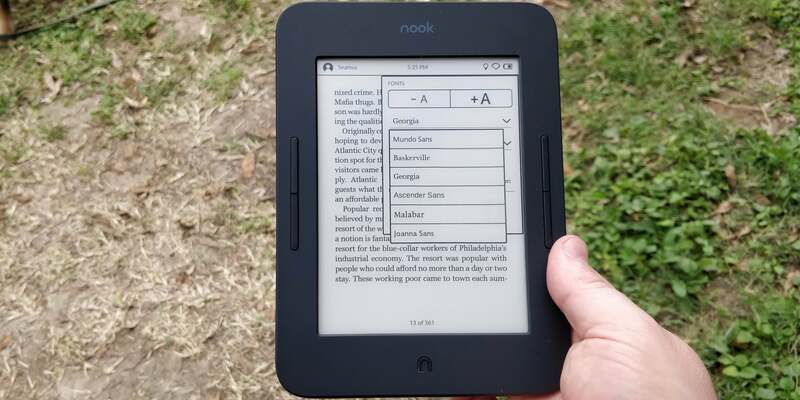 Measuring roughly 6.93 x 5 x 0.38 inches and weighing 6.7 ounces, the Nook GlowLight 3’s size and heft are similar to that of the Kindle Paperwhite. The similarities continue: With its grippy soft-touch backplate and rounded edges, the GlowLight 3 is just as comfortable to hold during marathon reading sessions. Both devices offer a 6-inch, 300-dpi anti-glare display and 8GB of physical storage, and both cost $120—the GlowLight 3 from Barnes & Noble’s website, and the Paperwhite on Amazon (the “special offers” version with ads; other versions’ prices vary). Despite following in the Paperwhite’s footsteps, the GlowLight 3 still manages to maintain a personality of its own. Its broad side bezels both feature page-turn buttons, making it easy to flip through a book one-handed. There’s a physical home button built into the bottom bezel to make navigating back to the e-reader’s home screen a one-touch affair. I also appreciated the presence of orange-hued front lighting LEDs, of the sort that Rakuten Kobo has been baking into its premium e-readers for the last few years. You can switch to orange front lighting to reduce the sleep-troubling effect of the e-reader’s white front lighting. The orange lighting can be turned on manually or scheduled to run from sundown until sunrise. Page-turn buttons are a welcome addition to any e-reader. Read the fine print on the battery life. Barnes & Noble claims the GlowLight 3 can operate for up to 50 days on a single charge. This is true—provided you hate reading. Scroll to the bottom of its specs page and you’ll find that this estimate applies only if you read for a maximum of 30 minutes per day, with the device’s backlighting set to 10 percent of its maximum brightness and Wi-Fi switched off. As I enjoy reading books, and not going blind as I do so, I found that in reading for roughly two hours per day with the device’s backlight set between 20 and 50 percent, I was able to get a scant two weeks of reading out of the GlowLight 3 before having to charge it. Unlike some of the e-readers we’ve recently reviewed, the GlowLight 3 isn’t waterproof, but that’s OK. For the time being, protection from the elements is a feature typically reserved for more expensive devices, like the Kindle Oasis or Kobo Aura One. I was disappointed by the GlowLight 3’s general build quality. The internals of the first unit that I reviewed rattled around when I tilted or shook the e-reader’s plastic body. To ensure that I hadn’t received a defective device, I opted to buy a second one. That one’s internals were secure, but the page-turn buttons on the left side of the device felt squishy and did not respond as well as those on the right. Barnes & Noble offers “Free Lifetime In-Store Support” for the device, which is nice. But this promise covers software issues, not hardware failures. A high-resolution display and multiple font options make reading with the GlowLight 3 easy on the eyes. The GlowLight 3’s anti-glare 300-dpi display makes text a crisp pleasure to read. As with most modern e-readers, you’ll find that this Nook offers a number of different typefaces and enough font sizes to make reading comfortable for most people. Flipping between pages of an ebook proved fast and easy, whether I used the device’s touch screen or physical page-turn buttons to do so. I noticed uneven front lighting offered by the device’s seven white and six orange LEDs. In low light conditions, dark areas on the display are easy to see. That said, the rival Kindle Paperwhite fares no better in this department, so there’s no escaping it. The operating system also falls short. GlowLight 3 leverages Android, with a highly refined user interface. It looks great and makes it easy to navigate through the device’s various functions… eventually. While page turns of an ebook are fluid, opening a new book to read, returning to the home screen, or accessing the device’s library is painfully slow. Open times ranged between two to three seconds in some cases. I experienced these slowdowns with two books downloaded from the Nook Books store and two side-loaded novels in the GlowLight 3’s main memory. Should you store more content than this on the device, its a fair assumption that you’ll see similar or worse results. I was also aggravated to discover that, while the device’s OS supports PDF reading, PDF files and interactions are so slow and janky that you likely won’t want to hazard using this device to read them. The Nook Book Store trails far behind what’s on offer to users of Rakuten Kobo or Amazon Kindle users. While there was no shortage of bestsellers and popular periodicals, GlowLight 3 users have less access to older and more obscure titles than can be had in the Kindle or Kobo online stores. Barnes & Noble’s efforts to provide free content to the device’s users are lacking, too. B&N Readouts offers snippets of books and a few timely articles, which is nice. But when compared to Amazon’s Unlimited service or Kobo’s Pocket and OverDrive integration, it feels like an afterthought. While its crisp 300-dpi display and physical-page turn buttons make the Barnes & Noble Nook GlowLight 3 a pleasure to read with, its suspect build quality, lackluster performance, and inferior selection of reading material make it hard to recommend.